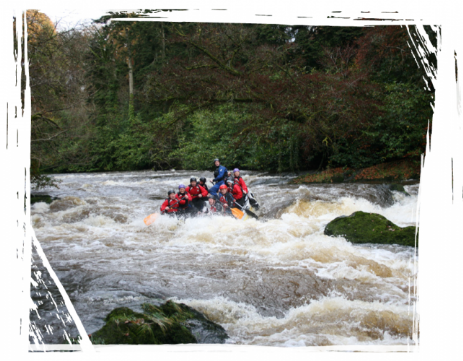 "We cater for stag groups, hen groups, schools, corporations, couples, families and even Special Forces. 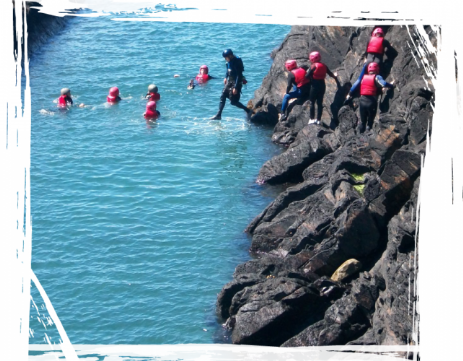 Blue Ocean instructors are qualified and highly experienced in providing many activities including Canyoning, Gorge Walking, Coasteering, White Water Rafting, White Water Sea Kayaking, Quadbiking, Climbing, Caving and more. If you like the sound of any of these activities give us a call and we’ll book you in. 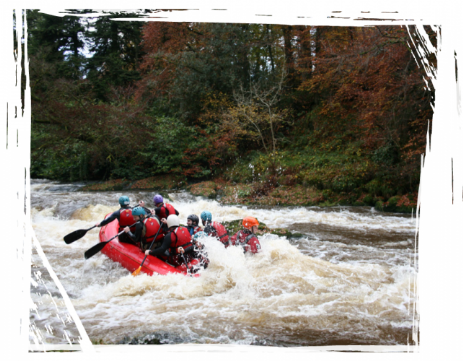 Whatever the weather, all year round, our activities have proven to be a blast and you’ll be sure to leave with a huge smile on your face. We provide all the necessary equipment for your adventures including wet suits, buoyancy aids, helmets, harnesses, ropes and whatever else you may need. 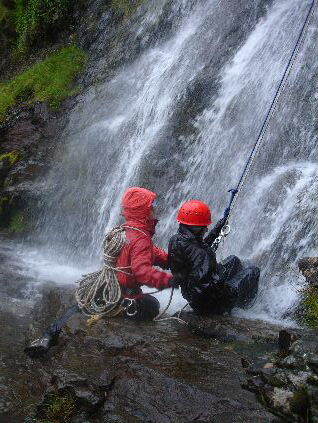 Our activities spread across the whole of Wales, we can arrange transport to some of the most idyllic places in the country where you can take part in some fantastic adventures. 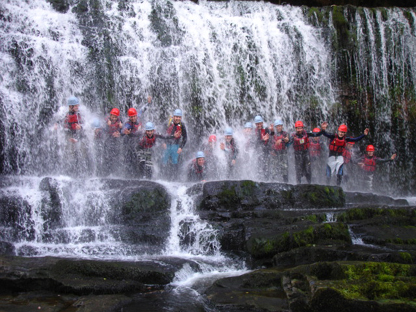 However, most of our activities are provided locally in the Brecon Beacons and we can meet you at the location or pick you up on the way to the activities. 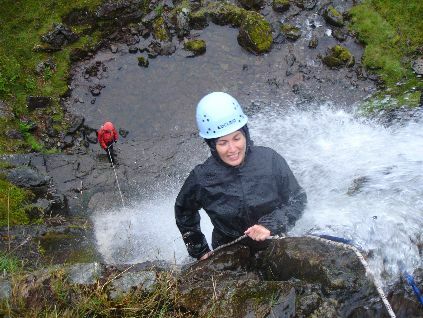 In the Brecon Beacons we offer fantastic Gorge Walking/Canyoning experiences, Survival Skills, White Water Rafting, White Water kayaking, Climbing, and Caving." 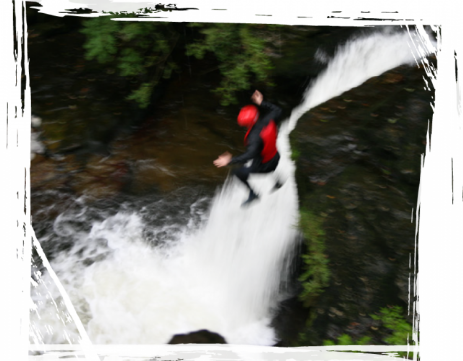 "If you are looking for the most exciting gorge walking that Wales has to offer then Gorge Walking Wales has all the thrills and adventure you can manage. 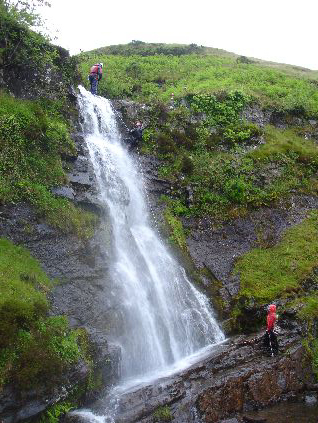 We've gorge walks and scrambles to suit all ages and abilities, so whether you want just a fun filled exciting day or something a bit more extreme then we can find the gorge walk to suit you. 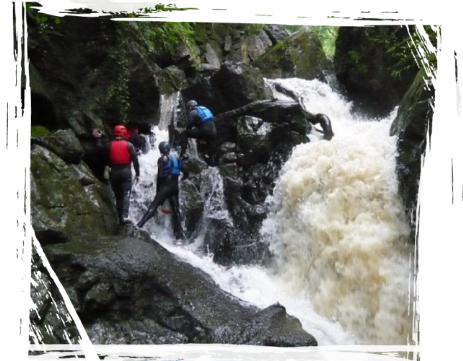 If you have never come across gorge walking before then it is one of the best outdoor activities that you can do. 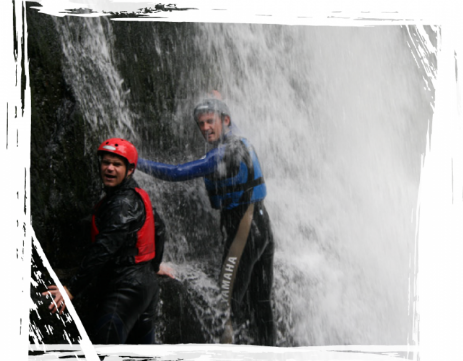 It involves your group scrambling up or down a river or stream. Now this might seem quite tame but it is the type of river that makes the difference. 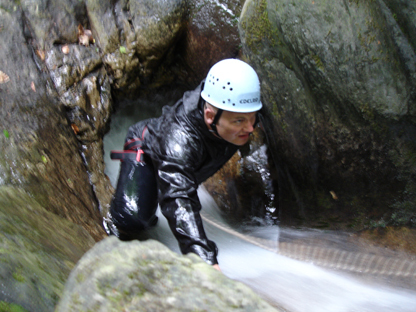 All the rivers we operate on run through steep rock gorges with various natural challenges for you to overcome. 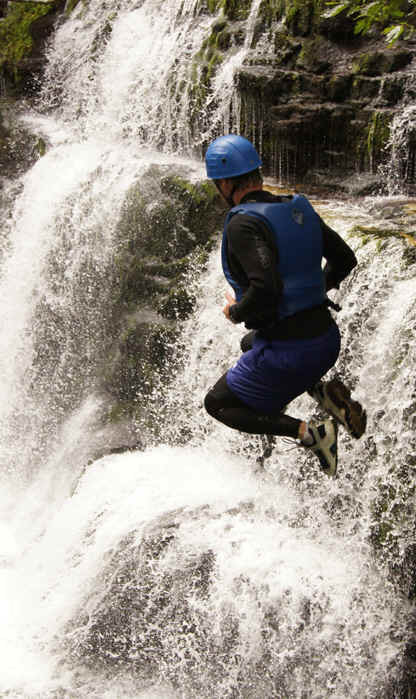 You could be abseiling down 30 foot water-shoots, climbing up 15 to 20 foot waterfalls, jumping 15 foot into plunge pools and many other fun and thrilling activities along the way. 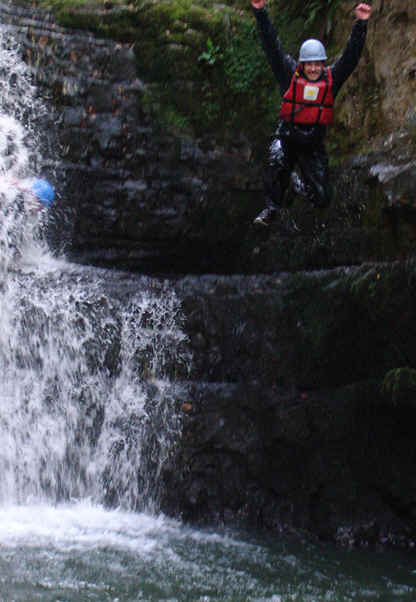 Gorge walking is a hugely exciting outdoor activity but we aim to make it as safe as possible. 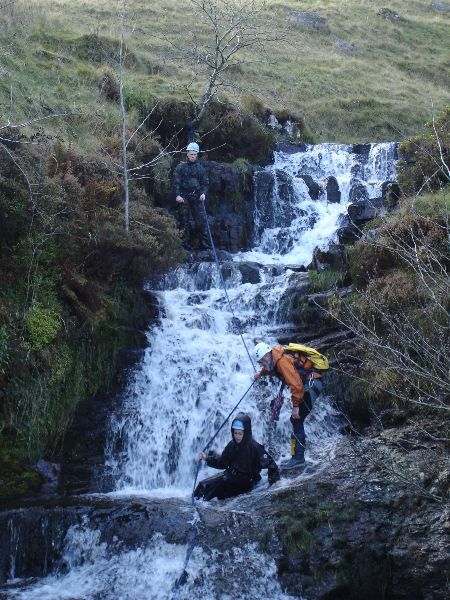 Our highly experienced climbing instructors are experts in gorge walking and we know all the Welsh and Brecon Beacon gorge walks inside out. Our ultimate aim is to give you and your party the most fun, the most excitement and the best adventure you've ever had. Don't feel intimidated by anything that you have heard or seen before. We always start gently and teach you all the techniques you need along the way so by the time you get to the larger climbs and abseils you will be more than ready for them. However if you don't want to do a certain challenge then we can miss it out and move on. 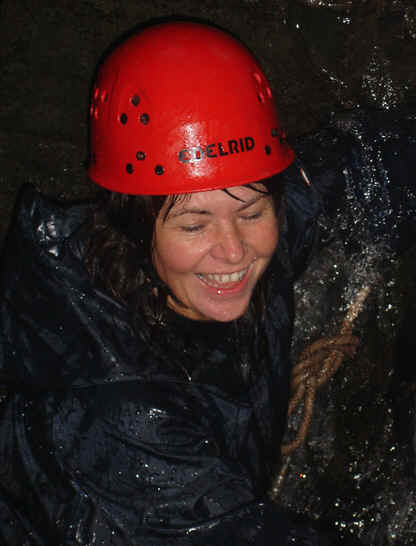 During your gorge walking we'll take photos and videos of you and your party at all the best spots. We then send you everything so you can relive those moments again and again. You can bring your own cameras and we will use them when we can - but at your own risk! 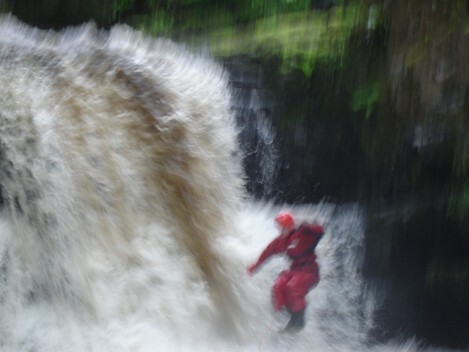 You can go gorge walking at any time of the year. 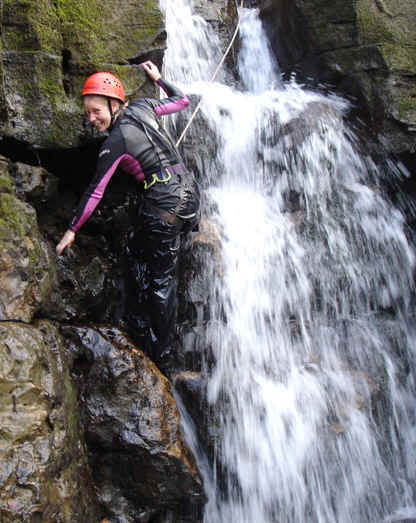 We supply full wet suits and a complete set of waterproof clothing plus all the necessary safety equipment. 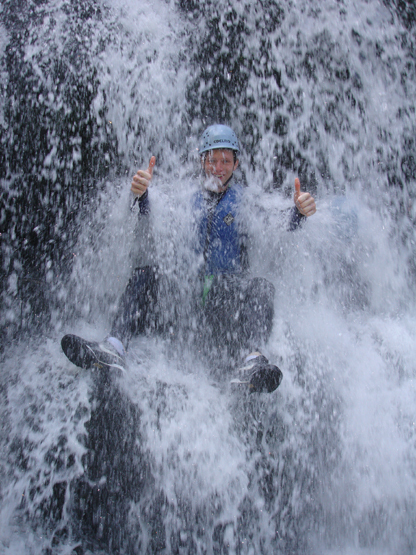 To experience the best gorge walking Wales and the Brecon Beacons offer, contact us for a quote for your party. We offer discounts for large groups and can arrange transport to and from your accommodation at Craig y Nos if required."